Since its inception in 2015 as a rogue addition to the National Council of Teachers of Mathematics (NCTM) Annual Meeting and Exposition in Boston, ShadowCon has provided teachers, teacher leaders, and academics with inspiration and motivation through the intriguing and passionate calls to action presented by educators of every stripe. In the inaugural event, Laila Nur, Tracy Zager, Elham Kazemi, Kristin Gray, Michael Pershan, and Christopher Danielson presented their calls to action that spanned from giving the right kind of hints to solve math problems to using your sense of humor to create a safe and enjoyable space for your students in math class. The talk that I gravitated towards in 2015 was Tracy Zager’s Breaking the Cycle. Zager, author of Becoming the Math Teacher You Wish You’d Had, contrasts how elementary school teachers describe mathematics with the descriptions of mathematicians. Spoiler alert: the mathematicians’ descriptions are drastically more positive. I was inspired to share word clouds Zager created with my colleagues after I asked them about their own opinions of mathematics. I also felt motivated to engage with Tracy and other educators around the country on the ShadowCon website. The next year, at the 2016 NCTM Annual Meeting and Exposition in San Francisco, I was asked to be a live tweeter for Brian Bushart‘s fantastic #ShadowCon16 talk called, Make Your Own Kind of Music. The presence of live tweeters is an important innovation established by ShadowCon hosts Dan Meyer, Mike Flynn, and Zak Champagne in order to provide live access to as many people as possible, even those who are not in attendance but who can witness the event live on twitter. This year, at the 2018 NCTM Annual Meeting and Exposition in Washington DC, I had the privilege to be invited to speak at #ShadowCon18! Instead of reading a description of my talk entitled, “Presume Competence: Don’t Leave Your Expectations At the Door, Raise Them!” Watch it for yourself! Thanks for coming back! Now that you’ve watched my talk you’re probably so ready to presume the competence of your students, but you may be wondering what to do next. This is how ShadowCon is unlike any other conference experience. Each speaker from this year’s event will be continuing the conversation via email to delve deeper on the subject of their talk. Go to bit.ly/shadowcon18 to signup for one of these #ShadowCon18 email threads. The speakers will be sending discussion prompts, activities, and reflections to each email thread over the next month or so. Our Kids Are Not Swiss Cheese! This blog post was co-written with Rachel Lambert and available on both blogs. A couple of years ago, Rachel Lambert and myself were talking about how students in special education are conceptualized. We were sick of hearing about the “gaps” and the “holes” in our student’s learning. One of us, (probably Rachel! ), blurted out – “Our students are not Swiss cheese!” We laughed, since this summed up for us how learners with disabilities are both over-analyzed and under-educated, always seen as the sum of their deficits, not their strengths. What follows are two recent experiences we’ve each had in which the idea of thinking of students as Swiss cheese has resurfaced. The weeks after the NCTM Annual Meeting and Exposition are usually a time of personal professional reflection and consideration about the future direction of the organization itself. During Congressional recess, Senators and Representatives go back to their communities and hold town halls to hear the issues that are important to their constituents. From where I sit, the merger with The Math Forum, the emphasis on #MTBoS representation on all NCTM committees, the MTBoS keynote in Nashville, and the support of our fringe events like Game Night and ShadowCon are meaningful. I’m all for pressing NCTM to be what we need it to be. But I’m also all for recognizing the big shifts made over the last few years. Change comes faster within the (unstructured, unregulated) #MTBoS than it can within the (highly structured, institutionalized) NCTM, just by the nature of the beasts. But good change is happening nonetheless. The blog post you are reading right now focuses on the idea of “#MTBoS representation on all NCTM committees.” Recently, Carl Oliver, Tina Cardone, and I began two-year terms on the NCTM Publishing committee. Our first committee meeting will be held soon and we’ll all have more specific information afterwards, which we’ll be sure to share. So, in an effort to begin with transparency, this particular post is meant to be a kind of digital town hall. What issues are important to you regarding NCTM publications (magazines, books, and journals)? How do you currently use NCTM publications in your professional life (in or out of the classroom)? How can NCTM publications be the most useful to you in your professional role? 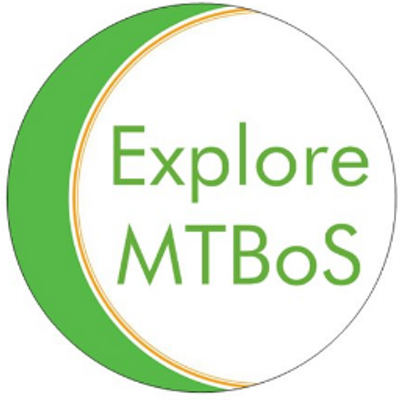 To be completely honest, as #MTBoS committee representatives we cannot promise to address everything, but we’d like to begin this adventure knowing what’s already on YOUR mind!